Why do I need a personal brand? Our prices are highly price competitive with the top tier of executive resume writers practicing in the U.S. today. Most of our clients select our Gold Package which includes all you absolutely need to have in order to compete in today's job market. We believe you don't have to invest in a number of additional documents if your primary ones are done right! The Gold Package includes your executive resume, LinkedIn profile, and a customizable cover letter (Value Proposition Letter). As a natural part of our process, we also help you unearth your personal brand, define your job/career objective, and position yourself correctly. Another bonus is that the executive resume we create for you will have the essential keywords and formatting to survive the ATS (Applicant Tracking System) screen and enable your resume to be retrieved in a search. And your LinkedIn profile will have the essential keywords in the right places to attract the desired searches by recruiters and employers. The fee for the Gold Package is $1395. ROI can be measured by 3 factors: time-to-land, salary/compensation, and long-term career success. The first two are quantitative. (1) Almost all my clients get great jobs in less that 60 days from the time they start their search in earnest. (2) They also make more money when negotiating compensation (10%+ more), because of the value proposition we have articulated for them. The third ROI of the Gold Package is that clients continue to enhance their value proposition and brand on the job, producing faster, better promotions and/or job transitions. The results are cumulative both in terms of authority and compensation. After we complete your essential marketing content, I email you my fast-read eGuides on: how to get a job in 2018; the five pillars of job search in 2018; how to work with recruiters; and building an online footprint. 2. How does the process work? You talk with Tyrone Norwood on the phone and discuss your current situation to get a better understanding of your needs and vision for the future. Once we have decided to move forward, I will take payment and send you our proprietary resume questionnaire. The questionnaire, which is very thorough, will be used to uncover strengths, skills, achievements, and accomplishments not present in your current resume. Once I deliver the first draft, we will work together to finalize your resume. Your LinkedIn profile, value proposition cover letter, and bio follow shortly thereafter. 3. What other services do you provide? We are firm believers in providing what you need and ONLY what you need. Most clients choose the Gold Package with the branded executive resume, LinkedIn profile, and VPL (value proposition letter) / cover letter. These are the only marketing presentations a senior executive or manager absolutely needs to be successful in job search. We also offer executive bios, social networking site profiles, personal USPS mailings to employers, job search coaching, interview and salary negotiation coaching, and online reputation management. 4. Why do I need a personal brand? So that you can stand out from candidates competing for the top positions and get asked for interviews on the basis of the value you bring to the table. So that you know how you want to be known online and off. That means you know what to say in an elevator pitch! 5. Why should I choose you? Tyrone is an expert at writing specifically for technology executives and managers. He has a deep understanding of career paths and how to strategically position clients for the job(s) and career path they want. It is VERY IMPORTANT to have a career consultant work with you who knows what employers hiring for top positions in technology functions or companies are looking for and how to ask the right tech-related questions of his clients. If your writer does not have this in-depth knowledge, you will be shooting in the dark and may well need to invest twice to get a resume written right by a specialist. Technology executive resumes are more complex and nuanced than resumes for other C-level, VP, and Senior Director positions. A Resume for Today understands how to handle this complexity. Our expertise extends to the job market for IT job seekers, trends in HR and recruiter sourcing, and what you need (and don't need) to win at job search! Please browse our blog posts for fast, free, and invaluable information you need to win at job search! As both a Certified Professional Resume Writer and Certified Master Resume Writer, Tyrone writes powerful resumes that get interviews. Read endorsements on LinkedIn for an independent assessment of our effectiveness as well as the recommendations on this site. Tyrone is an expert in the keywords and formats for IT that will enable your resume to be retrieved in a search by recruiters using ATS - applicant tracking software. That is well more than 90% of all companies today. Without this expertise shaping your resume, your resume will likely never be seen. You will work directly one-on-one, with Tyrone Norwood CPRW, CMRW, not with any one of a group of writers who work for the manager of a resume writing service. With extensive experience and credentials, Tyrone will be your partner and guide in getting you the job you want. 6. How long does it take? 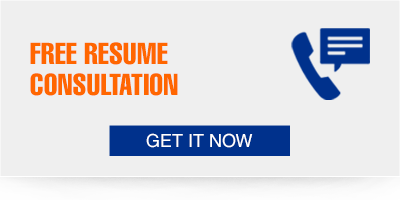 We provide a draft of the branded executive resume within 7-10 business days of receiving the questionnaire. 7. What don't I need? - More than one resume format and/or a .txt resume. You just need one ATS-friendly format of your resume to sumbit online or email to contacts or recuiters for every job you are interested in. This format can be very visually appealing in a way that ASCII/.txt resumes cannot. - Email campaigns to recruiter databases. Recruiters don't do their sourcing for executive and senior management positions in this way anymore. - Posting to job boards. Recruiters don't do their sourcing for executive and senior management positions in this way anymore. They prefer to find employed candidates on LinkedIn and prefer candidates without public resumes posted on job boards. - A lot of extra pieces of marketing collateral. Recruiters don't have the time to read them! 9. Who are your clients? CIO | VP of IT | VP of Sales (technology products and services) | CTO | Senior Account Manager (technology) | Senior Director of IT | Director of IT | Program Manager (technology) | Senior Project Manager (IT) | Project Manager. We also write for marketing executives, engineers, scientists, and biotech and healthcare managers and executives. Their brand-driven executive resumes get excellent responses! Our promise to you? "You will be highly satisfied with your resume's effectiveness when marketed according to the best practices we promote on this site or we'll rewrite for free." To get started today, email Tyrone at info@AResumeforToday.com and thank you for visiting!